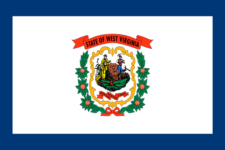 All West Virginia employers must prepare and file West Virginia Unemployment Compensation quarterly Contribution Report WVUC-A-154 and Wage Report WVUC-A-154-A on or before the last day of the month following the end of a calendar quarter. If you need quarterly reporting forms, call the Compliance and Enforcement Unit of our Unemployment Compensation Division at (304) 558-2451Call: (304) 558-2451 or (304) 558-1818Call: (304) 558-1818 or email them at ucworkforcecae@wv.gov. Forms for filing unemployment compensation are mailed to employers from the Unemployment Compensation Division. Forms are not be obtained online because of the bar code. Never forget to file WV WVUC-A-154-A again.